The chassis is a dual lateral bar frame designed to reduce weight and lower the center of gravity. The GT250R shares the distinct styling of the GT650R featuring a 2 stage projection beam for greater visibility and VFD ("Vacuum Fluorescent Display" commonly used in luxury automobiles for the digital displays). The 2 Stage Projection Beam Head Lamp is not only functional for great visibility but is also distinctive in styling and make the GT250R Highly Recongnizable. 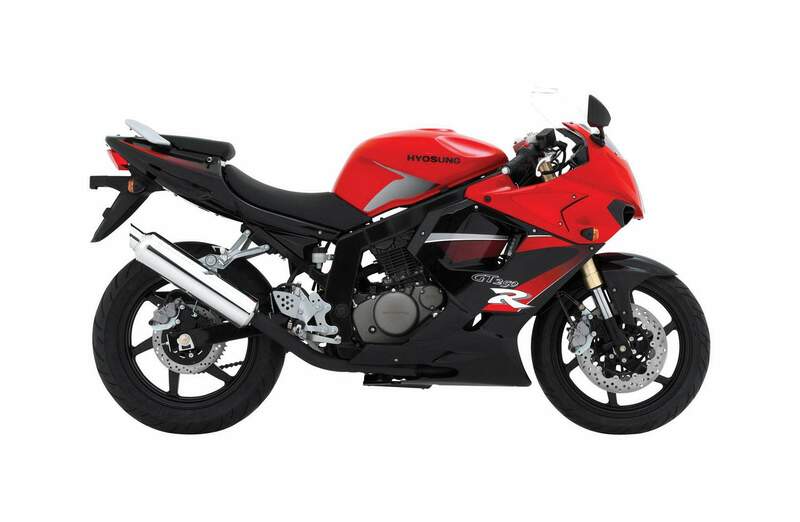 The GT250R comes stock with a 249 cc V-twin engine. The Hyosung V-twin engine was designed in Hamamatsu Japan by a design team consisting of engineers who have previously worked in the research and development teams of Suzuki. Technical features include roller bearing camshafts, two-piece spring dampened bevel silent primary drive gears, dual squish combustion chambers. It utilizes a DOHC eight-valve engine configuration. Twin downdraft Mikuni carburetors were standard until 2010, when fuel injection became available. Cycle World tested the GT250R's acceleration at 0 to 97 km/h (0 to 60 mph) in 7.6 seconds and 0.0 to 0.4 km (0 to 1⁄4 mi) in 16.06 seconds at 128.89 km/h (80.09 mph). The GT250R's recorded fuel consumption is 3.4 L/100 km (83 mpg‑imp; 69 mpg‑US) in comparison to 4.59 L/100 km (61.5 mpg‑imp; 51.2 mpg‑US) recorded on the Kawasaki Ninja 250R. 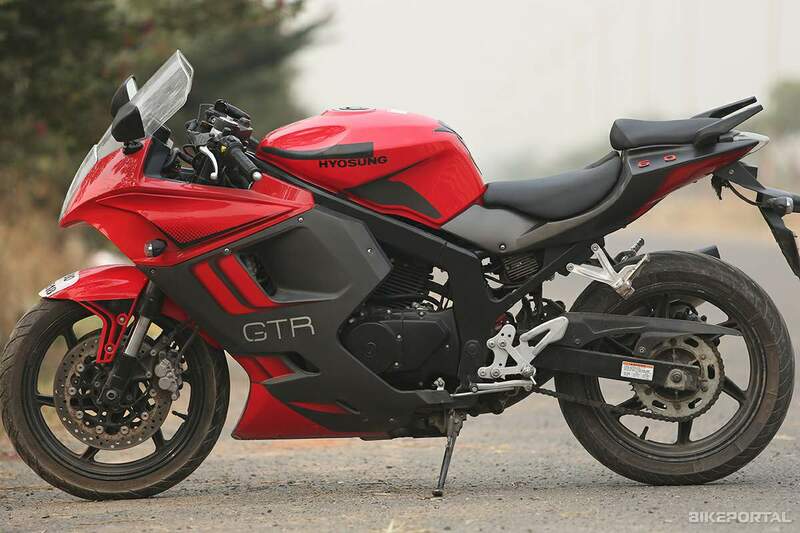 This allows the GT250R 500 km (310 mi) range from its 17 l (3.7 imp gal; 4.5 US gal) fuel tank. 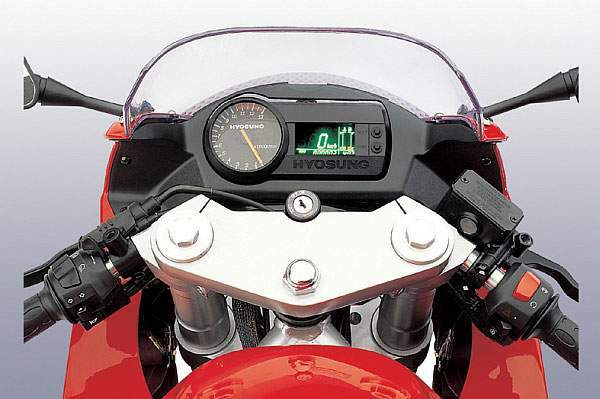 Motorcyclist and Cycle World recorded 3.8 L/100 km; 74 mpg‑imp (62 mpg‑US). Non-adjustable 41 mm inverted forks are combined with a twin-spar steel frame to provide improved handling. Stock suspension setting is firm, providing stability through corners. 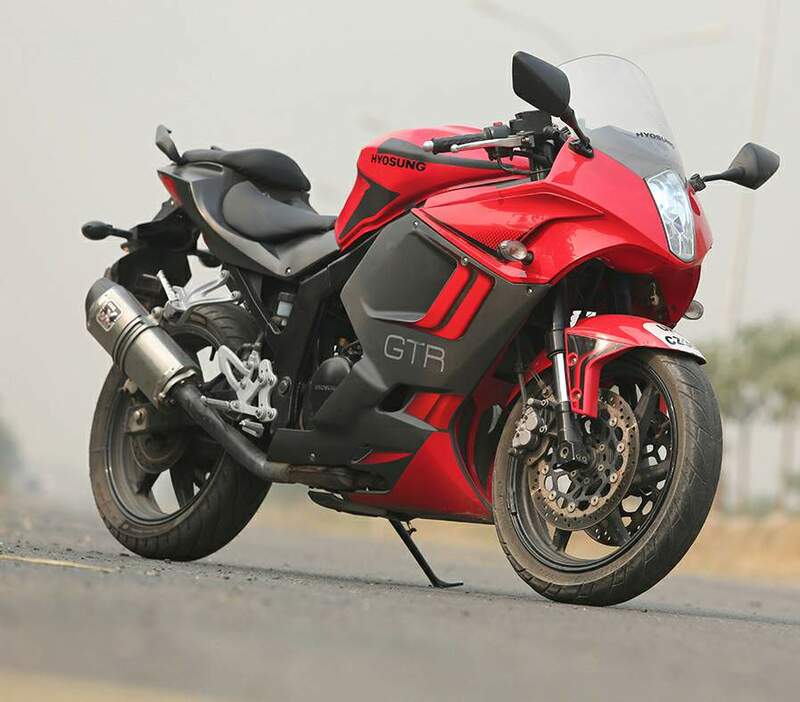 Although commonly found only in larger sized sport bikes, the Hyosung GT250R comes standard with a 300 mm front disc setup using twin-piston calipers. Rear brakes is a single 230 mm disc.